Mercedes Benz service and Repair Specialist Reading is here down at The Mercedes Car Service Centre in Reading, Give Your Mercedes The service it requires and keep it in tip top condition at all times. We Can Service and maintain your Mercedes Benz to Your Manufactures Specifications at half the Cost of main dealer prices And From £60.00 Pounds per Hour You will agree our Labour Rate is Very reasonable In Deed. 01189 581198 or Email Us at Repairs@mot-centre.com. 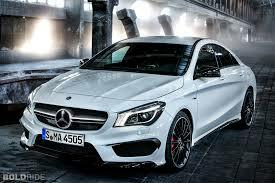 One of the best cars that an individual can buy is a Mercedes. Even the best made vehicles sometimes need repairs however. since the Mercedes is a complex vehicle, owners will want to go to a specialist for the repair of this vehicle. The Mercedes Car Service Centre has been in business now for several years and can take Great care of your vehicles needs and requirements. The Mercedes Car service centre can provide servicing for your luxury Mercedes car. They can supply a complete range of electrical and car service needs for your vehicle. They have worked on MERCEDES for many years and Have also expanded their repairs to include BMWs And Volkswagen. All the facets of the vehicle can be worked on, Everything from electrical problems to replacing hard to find tyres can be done in your Mercedes service centre. Our Mercedes Trained Technicians take their time to make sure your vehicle is repaired to specifications, and will be a safe and legal vehicle for you to use after it leaves the workshop. You are proud of your Mercedes and it is one of the best made cars in the world, so it makes good sense to leave it with professionals that know what they are doing and how to take care of it. This is a vehicle that needs special care and handling, and the mechanics know this and can take care of it the way you need them too. That is why the professionals at the Mercedes Service Centre Reading can take care of your vehicle and have it working in tip top condition. Your vehicle is their speciality and they can assure you that it will be running properly before it ever leaves their workshop. Mercedes specialist repairs can be done by the technicians at the Mercedes Service centre. Some of them have studied precision mechanical engineering and are fully capable of handling the complex repairs on a Mercedes Benz. Exhaust systems are very important to cars of all types, and this is something the Mercedes service centre can provide as well. The Car Service centre offers fast and reliable advice pertaining to your vehicle and we can provide the services you need to keep your vehicle functioning smoothly and without any issues. Many people will look to get their car serviced and will take advantage of the services that the Mercedes service centre can offer them. Those in the Reading and Berkshire areas know that they can get accurate and professional repairs at the Mercedes centre for your Mercedes They are the car service professionals.